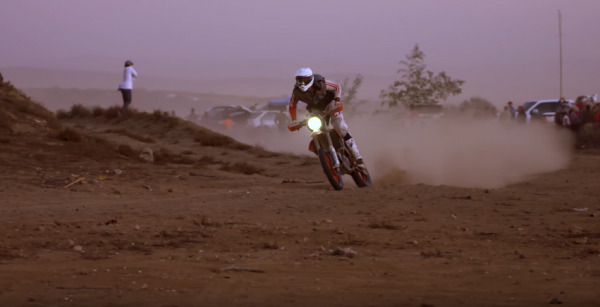 Larry Janesky and his son Tanner team up to face the challenge of a lifetime: one thousand miles of unforgiving landscape in the 2015 Baja 1000 - the longest non-stop race in the world. Two men, one bike, 25+ hours of relentless battle against fatigue, sleep deprivation, and the elements. The conditions of this competition are so harsh that only half of the teams ever make it to the finish. This is their first time racing the Baja 1000. Could they finish, or even win?